This ride will give you all the speed, thrills and wet excitement you can handle. 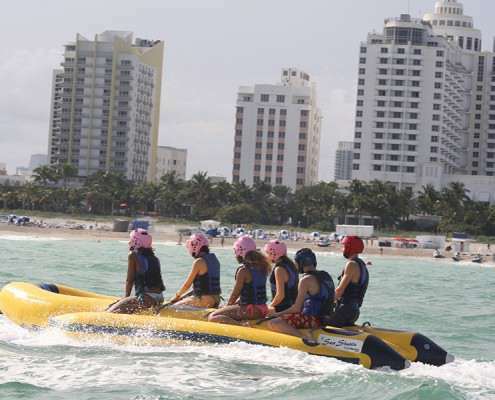 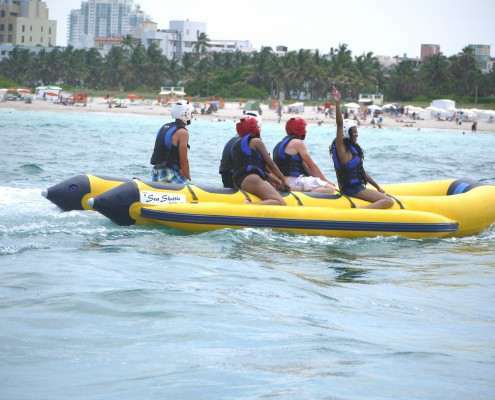 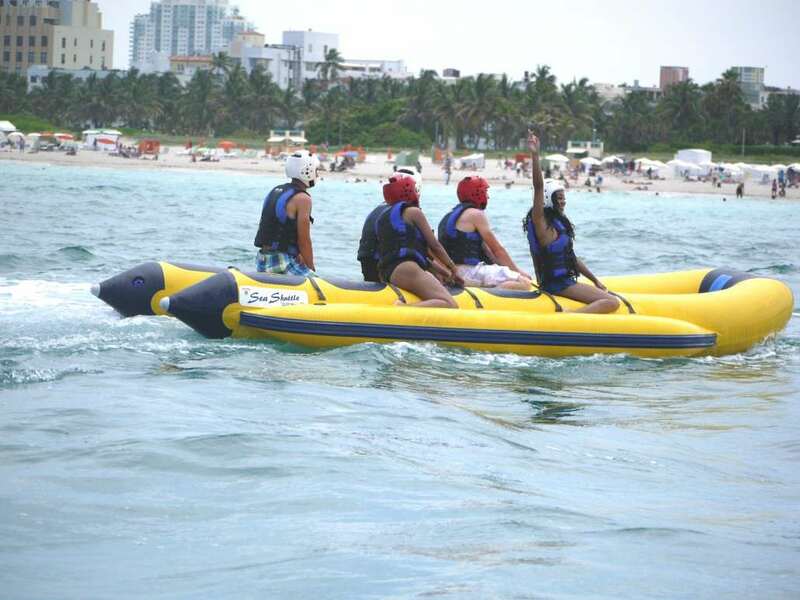 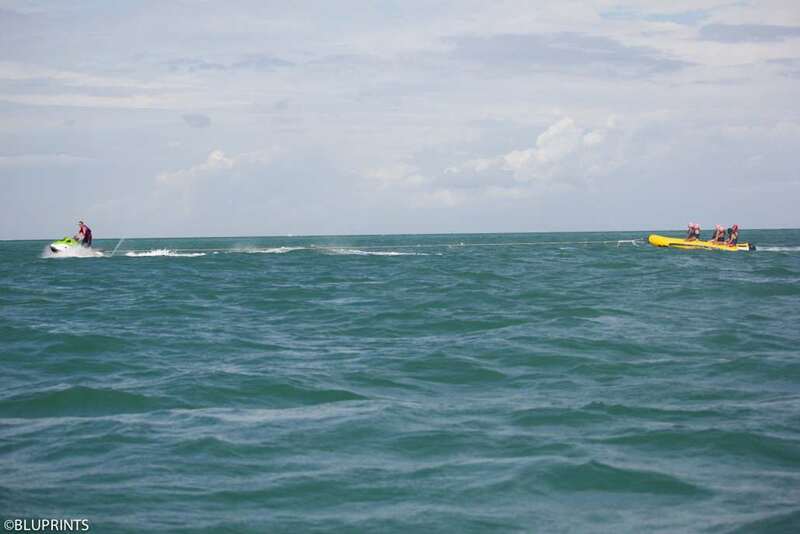 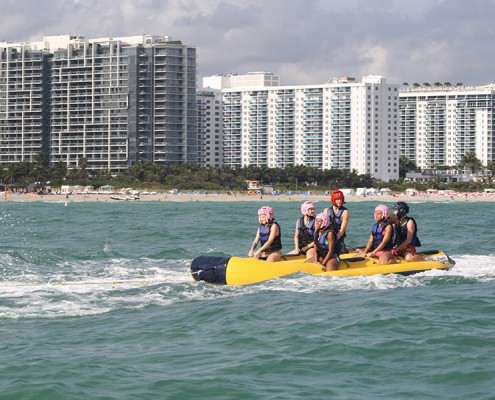 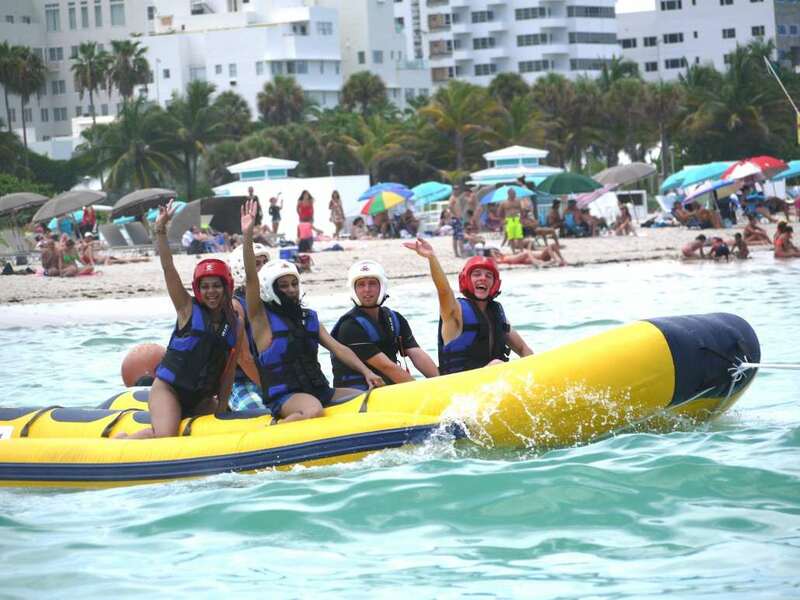 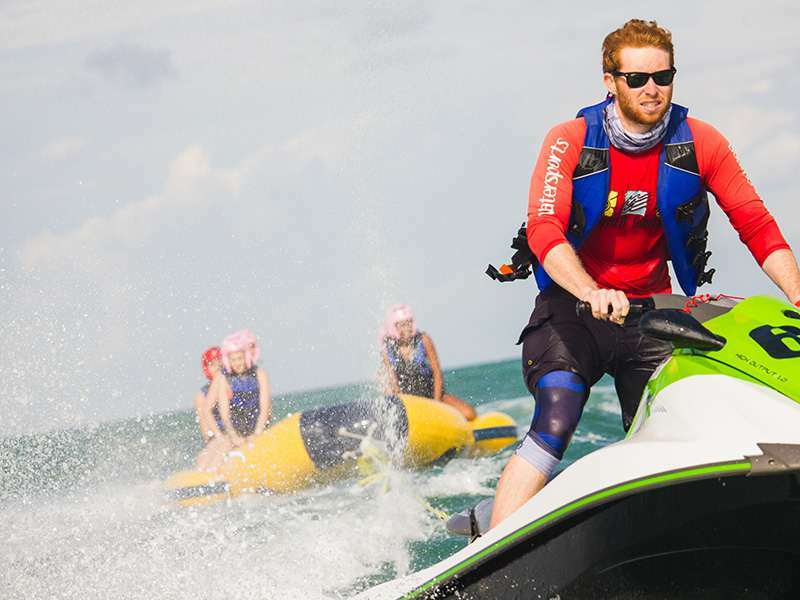 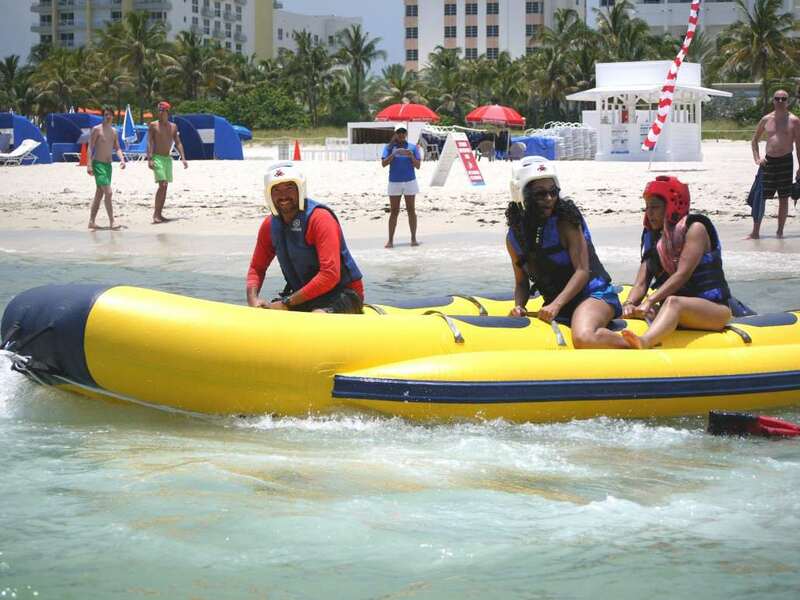 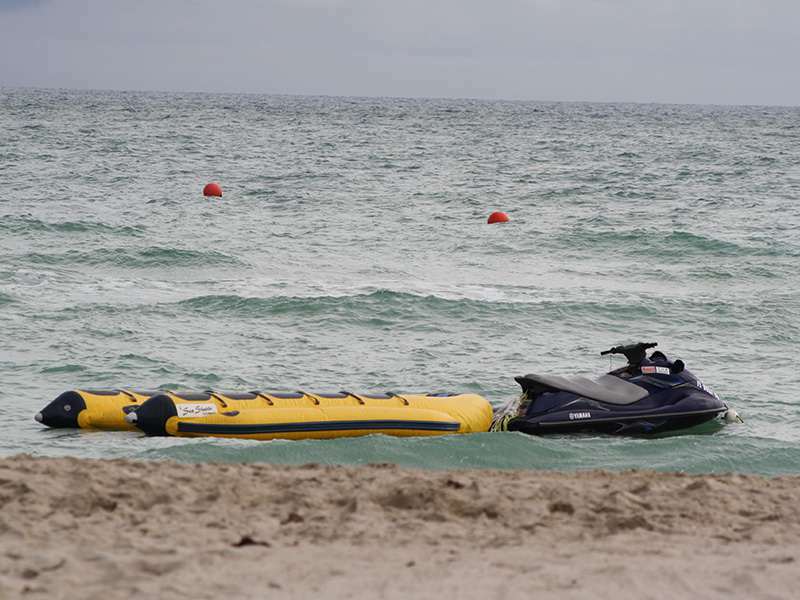 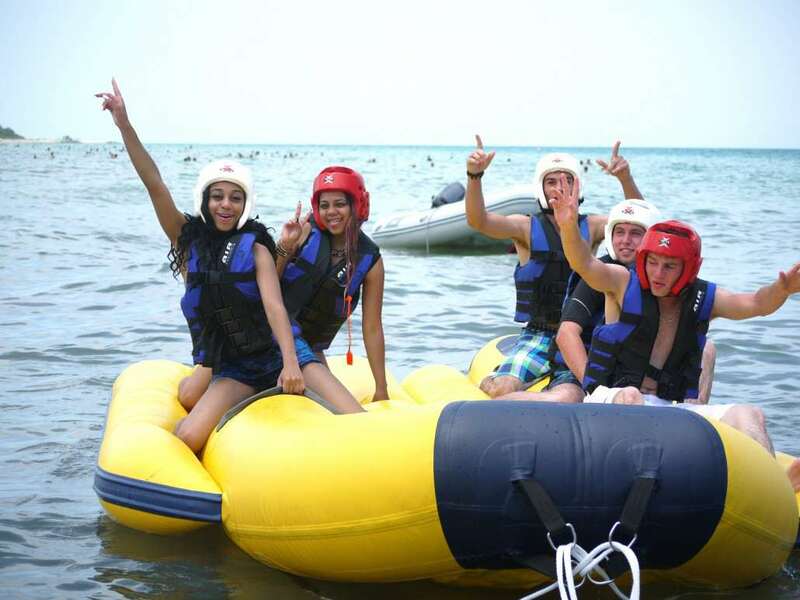 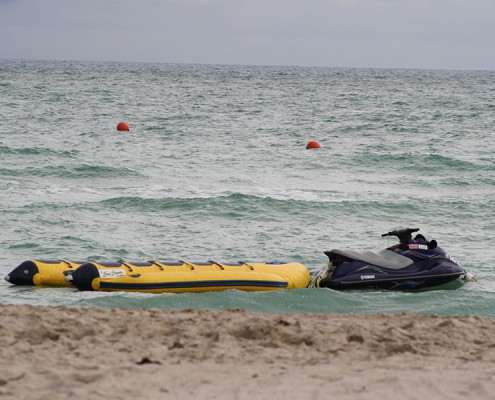 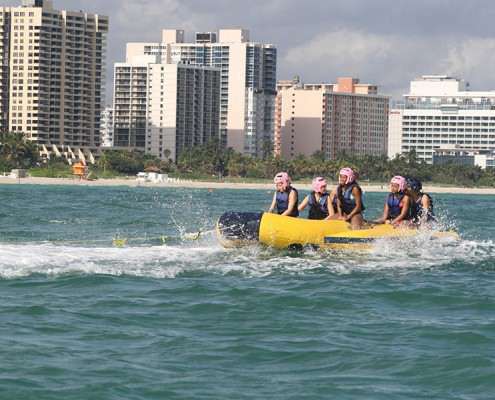 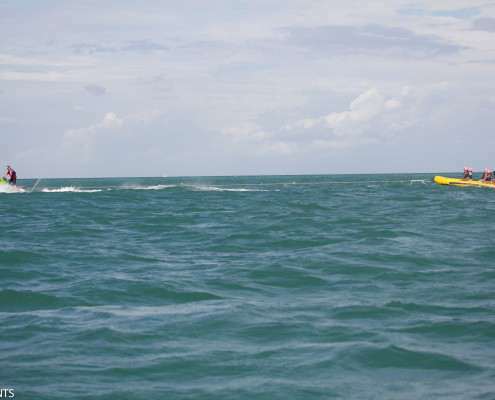 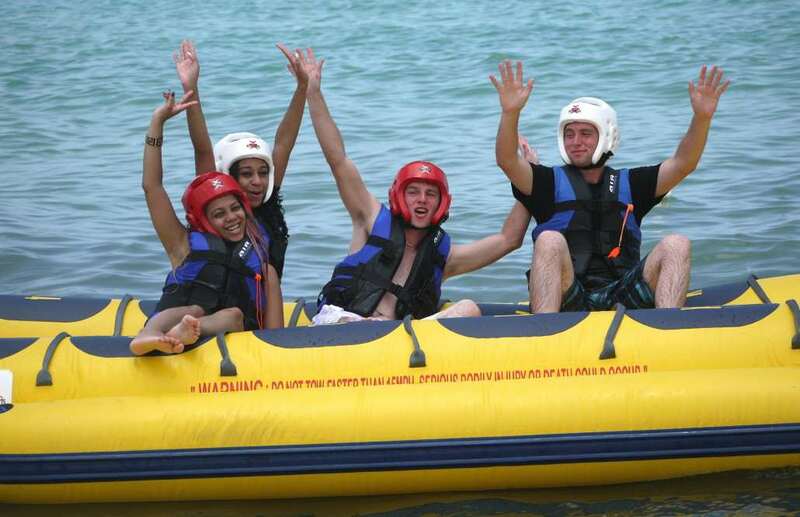 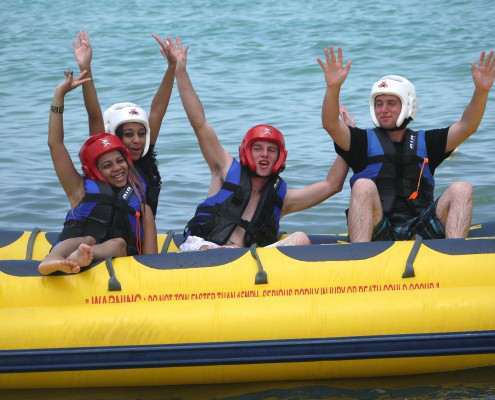 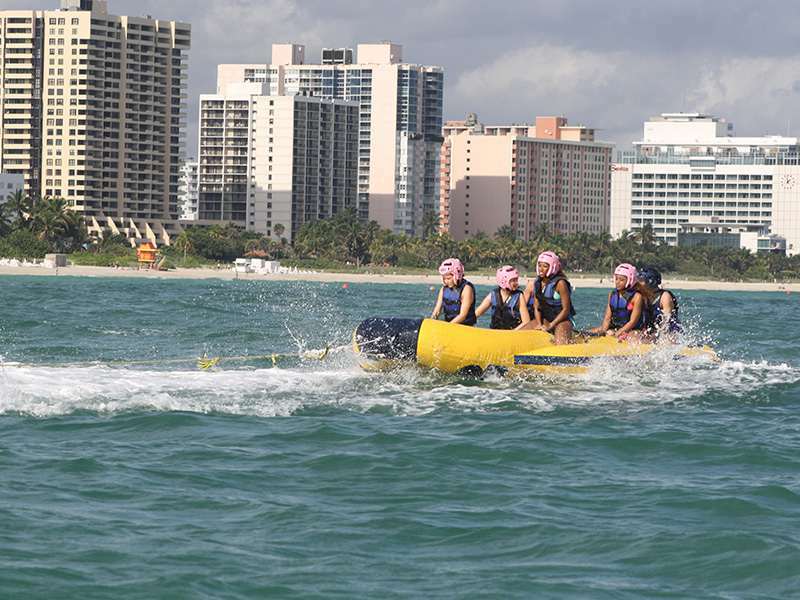 The inflatable “banana” raft seats up to six people and is pulled along the water behind a powerful Jet Ski. 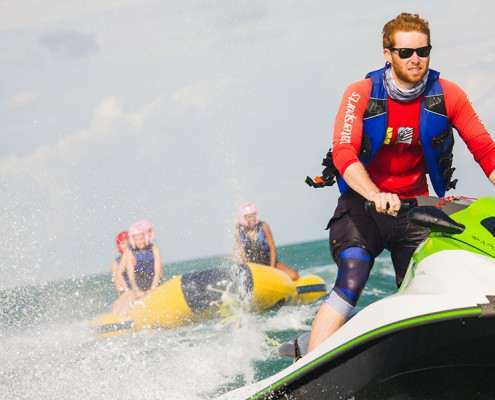 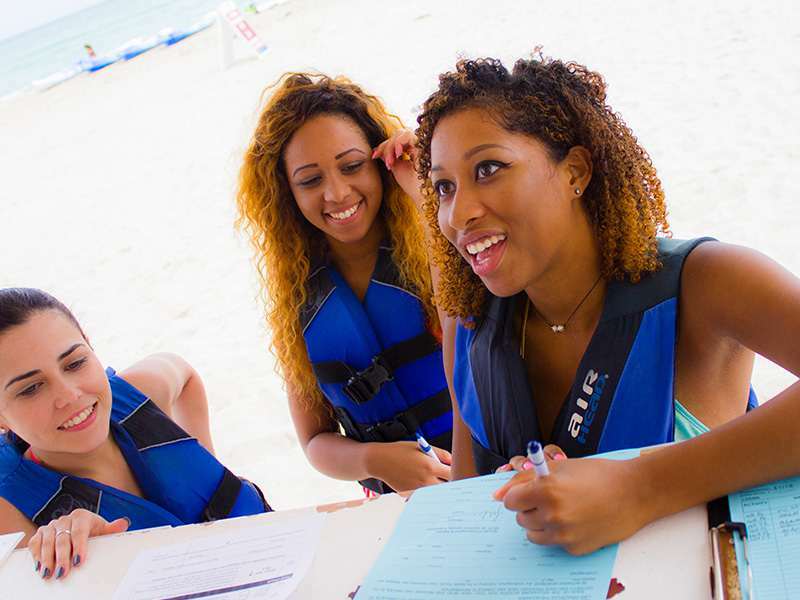 It’s a bumpy and fun-filled ride as your experienced pilot takes you skimming over the water at fast speed. 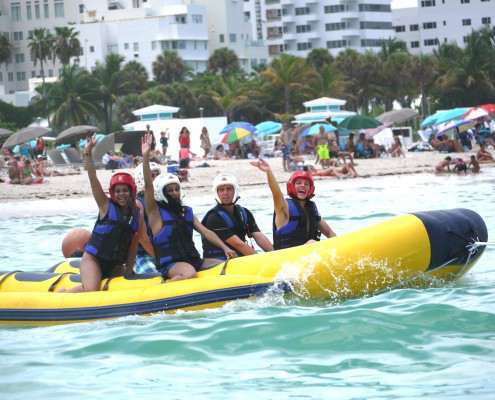 This will undoubtedly be a true “Kodak moment” and an unforgettable experience.